Yesterday at GDC in San Francisco, Harmonix officially announced Rock Band 4 is in development for next-gen consoles. Although Rock Band 3 hit shelves nearly five years ago, an epic string of DLC releases and spin-off titles ensured would be rock stars weren’t letting their plastic instruments gather dust. Sorting the span of reactions with some claiming the franchise should stay dead and others hailing it as the second coming isn't easy but I think, on balance, interest is strong. Still, the music rhythm genre isn’t the cash cow it once was and I think Harmonix should be wary of a few things if they want to rebuild their empire. I think that gamers will need to temper their expectations but Harmonix needs to show a concerted effort to allow previously purchased DLC carry forward to Rock Band 4. It’s probably inevitable that the legal framework of some of the licensed content means that not every song from the massive Rock Band library will port, but I think it will draw the ire of many supporters if they learn that their hard bought and built collection is gone with the coming of next-gen. So long as Harmonix is clear on what they are doing to preserve previously purchased content then they will be okay even if some favourites are lost. The absolute worst thing they could do is try to re-release it all again and charge gamers who have already bought it a second time – the backlash would be tremendous. Please don't take these away from me! 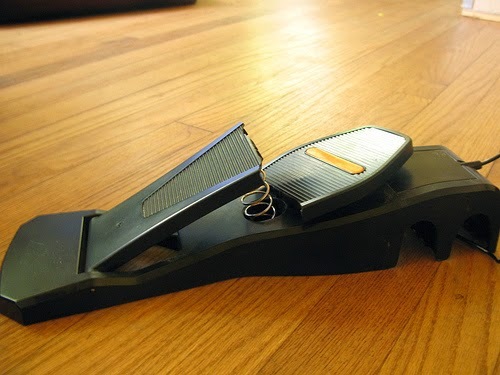 One of the few problems with Rock Band 3 was the lacklustre addition of the piano peripheral. Only a handful of songs made good use of it and the overwhelming majority didn’t use it at all. There’s already enough arguments over who gets stuck playing bass instead of guitar but at least there the loser still gets to play the game. Being stuck on piano basically means the rest of the group has to agree to play from a limited set of songs or you’re relegated to being an observer. On paper, the idea of filling out the missing link in the standard instrument line-up seemed like a good idea but in practise its implementation was clunky. If Harmonix has any more bright ideas about filling our living rooms with a new instrument, it better work for every (or nearly every) song. Seemingly in clash with the above two, I don’t think Harmonix needs to break themselves to make our old peripherals work in Rock Band 4. While anecdotal, pretty much every plastic instrument set I’ve played has some quirk – the green button sticks, the kick pedal is squishy, the microphone has a hard time picking up really loud singing… the list goes on. I think most gamers won’t mind if they need to pay to get new instruments so long as they are high quality. If the old stuff still works, great! If not, no problem. The reasons behind the fall of the music rhythm genre aren’t inscrutable. Simply, many companies tried to cash in and flooded the market with more titles than it could handle. Harmonix contributed to the glut with a bevy of special stand-alone releases (Beatles, Green Day, and Van Halen) that really should have been worked into the base game. Eventually, consumers became alienated by the obvious greed and fought back by closing their wallets. Harmonix more or less acknowledged this and has already stated that they are intending to only release the one game supported by DLC and I implore them to stand fast to this commitment. Personally, I’m excited at the prospect of a new Rock Band. Fulfilling the rock god fantasy never gets old and I have a lot of fond memories of jamming with friends at parties. That said, just because Harmonix has my attention doesn’t mean they’ve got my money. If they want that all important sale they’re going to have to be careful not to alienate their fans.